PES2017PC - ITALIAN CLASSIC LEAGUE PROJECT - CAN YOU HELP? Our patch is totally free! 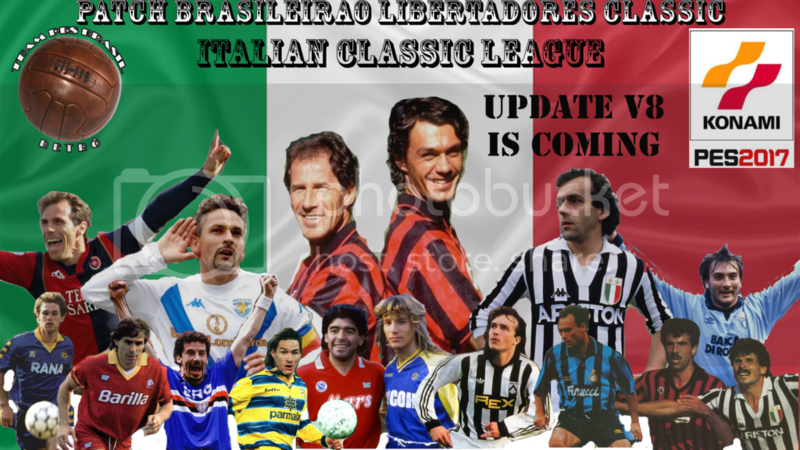 We are with the Italian Classic League Project, and we will need your help. This patch was released in 2018, and we are already updating V6. Our staff is very small but all are great editors. Version 6(V6) will have as its main focus the J-LEAGUE that is being mounted on the PAS LEAGUE. That does not mean we are not working on the other leagues. We are always working on the other leagues, correcting something, inserting new kits and new faces. V6 will have as its main focus the Italian Classic League which will be assembled in Italian League(SERIE A) and Italian 2nd division(SERIA B). For this we need the main help of the Italians who have deep knowledge of the classic teams of Italy! This does not mean that we will not need the help of publishers from other countries. We need the casts and stats of all teams, kits and faces. I hope you can help us with this project. Congratulations to your beautiful work. Many thanks for the opportunity and space.